IT’S A TRADE WAR! Allies retaliate against US steel tariffs. NAFTA in limbo. IT’S A TRADE WAR! Canada, Mexico and the EU hit back at the US announcement they will be subject to steel and aluminum tariffs, and NAFTA is in limbo. Re: the latter, Trudeau rejected a US precondition to face-to-face talks with Trump (a five-year NAFTA sunset clause) who responded with “it must be a fair deal, or there will be no deal at all“. Discouraging news but take solace, Random Lengths reports that lumber prices are up for the seventh consecutive week; and Wyoming senators join the fight against newsprint tariffs. In other news: FPAC touts competitiveness to Canadian municipal reps; erosion is an issue for forestry in Squamish BC; a land swap could benefit all interests in Idaho; and logging is big business in South Carolina. Finally, a cause all Tree Frog readers can get behind. BC MLA Nicholas Simons is pitching CBC for online access to all 360 episodes of the Beachcombers. You remember log-salvager Bruno Gerussi don’t you! It didn’t take long for the European Union, Canada, and Mexico to hit back at the US after the Trump administration announced on Thursday that the three key allies would soon be subject to steel and aluminum tariffs. 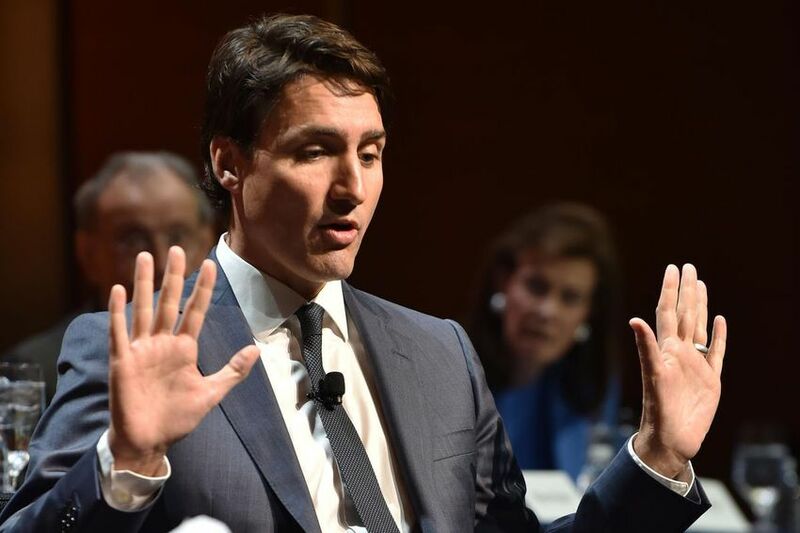 …Canadian Prime Minister Justin Trudeau said the steel and aluminum tariffs were “totally unacceptable” and a violation of a centuries-old relationship between the US and Canada. “These tariffs will harm industries and workers on both sides of the Canada-US border and will disrupt supply chains that have made North American steel more competitive across the globe,” Trudeau said. …The Trump administration is using an obscure section from a half-century-old trade law to impose the tariffs on national-security grounds. Yet all three key trading partners insisted that they pose no national security risk to the US and ought to be exempt from the restrictions. OTTAWA—So close and yet so far. At a news conference announcing tough trade counter-measures against the U.S., Prime Minister Justin Trudeau revealed he offered last Friday to meet U.S. President Donald Trump to sign off on a final few details in a new NAFTA deal, but Trump refused without a guarantee Canada would offer a key concession: a five-year expiry date on the deal. …“The United States said, as a precondition of us meeting and negotiating, we would have to accept a sunset clause. …As a result, the likelihood that Canada, the U.S. and Mexico will reach a modernized NAFTA deal seemed more remote than ever Thursday after the U.S. slapped tariffs against its North American partners and drew swift retaliation from Canada and Mexico. President Donald Trump is warning Canada that any renegotiated North American Free Trade Agreement must be “a fair deal, or there will be no deal at all” — escalating a leader-level standoff triggered by U.S. tariffs on steel and aluminum. …The statement was an apparent response to remarks made by a frustrated Trudeau earlier in the day, when he announced retaliatory tariffs. …Quitting Nafta would be yet another explosive and controversial trade move by the Trump administration. The U.S., Canada and Mexico trade more than a trillion dollars in goods annually. …Failing to reach an accord on an update doesn’t necessarily mean Nafta is dead, though. The existing pact remains on the books. Any country can quit on six months’ notice, which isn’t binding, in that they can give notice and never actually quit. On 18 May – at an average US$647/1,000 bdft for the benchmark grade SPF 2×4 #2&Btr ex mill – the value increased for the seventh consecutive week to a new record price level. Just the week before, at US$619/1,000 bdft, a value above the US$600 threshold was reached for the first time. The average price recorded by Random Lengths was therefore US$18 higher than the preceding week and meanwhile surpasses the preceding year’s figure by some 70%. The framing lumber composite price (FLCP) calculated across all ranges correspondingly increased and reached what is a record level at US$568/1,000 bdft in the third week of May. The year 2018 marks the 75th anniversary of NCASI’s founding. As a reflection of NCASI’s accomplishments and vision for the next 75 years, we are pleased to announce the creation of the new NCASI brand. The fresh look is designed to be forward-looking while communicating the essence of the organization and what it aspires to be—a globally recognized preferred provider of relevant environmental science and data that promotes the sustainable use of earth’s resources, informs regulatory policy, educates, and optimizes industry operations. The new brand mark combines a leaf and magnifying glass—conveying that NCASI’s expertise in identifying solutions related to environmental and forestry sustainability is derived from a focus on scientific approaches and data. The new tagline, Impact. Science. Solutions., communicates NCASI’s focus and how we provide value to member companies. In simple terms, it tells the why, the how, and the what we do as an organization—every day. Cantimber Biotech—the wood based activated carbon manufacturer located on the Port Alberni waterfront—has officially been terminated. The Port Alberni Port Authority (PAPA) announced on Thursday, May 31 that their Licence of Occupation with Cantimber Biotech Inc. has been terminated. 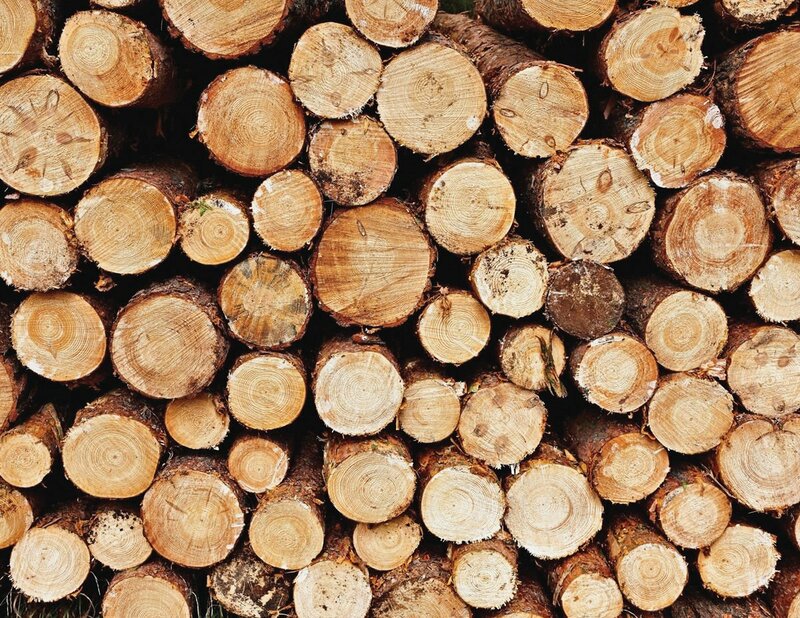 …Cantimber’s goal was to utilize wood waste that remains from area logging operations and turn it into a value-added commodity product used for many environmentally-beneficial activities, such as water filtration and natural fertilizer. However, concerns about potential adverse air quality and health impacts arose during the company’s operational commissioning trials, including odour and poor air quality in the area caused by a cracked valve, resulting in the ceasing of operations in June 2016. GRAND FALLS-WINDSOR, N.L. – The owner of the sawmill that was destroyed in an early morning fire Thursday, May 31, says he believes the blaze was intentionally set. “It was deliberately caught,” John Shearing told the Advertiser Thursday afternoon. “What would catch it? I don’t smoke, there’s nothing there to spark, the engine is not burned, the engine is outside, the battery is outside. There’s nothing in the sawmill that’s electric…. I mean, it was caught deliberately.” The sawmill, about 15 kilometres west of Grand Falls-Windsor, was already levelled when firefighters from Grand Falls-Windsor responded to the call just after 8:30 a.m. “By the time we got there, the sawmill was already completely destroyed, and there was a fair amount of wood on fire around the yard as well,” Fire Chief Vince MacKenzie said. He estimated the fire had been burning for two or three hours prior to that, and that no one was injured in the blaze. Montreal –EACOM Timber Corporation is proud to announce that its Quebec operations have been certified by the Sustainable Forestry Initiative’s ® (SFI) for both the SFI 2015-2019 Forest Management Standard and the SFI 2015-2019 Fiber Sourcing Standard. EACOM actively engages with forest users, First Nations, contractors, environmental groups and government representatives to constructively work toward upholding the best forest management practices. This new certification applies specifically to the 8351, 8663, and 8664 management units where EACOM’s Val-d’Or and Matagami sawmills source their fiber. Those same territories have had Forest Stewardship Council ® (FSC) certification in place since 2008. …“At EACOM, we believe that third-party certifications of all our activities are the most effective means to provide both our communities and our customers with objective assurance that our forests and operations are managed in a responsible and sustainable manner.” said Kevin Edgson, EACOM President and CEO. The pulp mill in Clatskanie has been fined for releasing excessive pollution in 2016. Oregon Department of Environmental Quality (DEQ) released a statement that said Georgia-Pacific Consumer Products LP was fined $12,000 for releasing more pollution from its Clatskanie kraft pulp mill than is allowed in the facility’s air quality permit. In April 2016, Georgia-Pacific emitted particulate matter that exceeded the limits set in the facility’s permit, according to DEQ. State and federal law limits industrial air emissions, including particulate matter, to protect public health and the environment. SHERIDAN — Members of Wyoming’s congressional delegation are lending their support to a fight against tariffs imposed on Canadian newsprint that newspaper publishers across the U.S. say are driving up costs and threatening to drive smaller papers out of business. Last week, U.S. Sen. Mike Enzi, R-Wyoming, joined 16 other senators in co-sponsoring a bill that would suspend the tariffs until a study assessing their impact on the publishing industry could be completed. Rep. Liz Cheney, R-Wyoming, is scheduled to testify against the tariffs at a hearing of the International Trade Committee in July, according to Matthew Adelman, publisher of the Douglas-Budget and treasurer of the National Newspaper Association. Adelman also said while Sen. John Barrasso, R-Wyoming, has not formally endorsed the Senate bill that would suspend the tariffs as of Thursday morning, he has expressed support for lifting the tariffs in meetings with Wyoming publishers. Vancouver architect Michael Green has joined forces with the Silicon Valley design-build startup Katerra, a company that promises to shake up the construction sector… Green said Katerra bought out the shares in his firm, MGA, but it will remain a stand-alone entity within the larger company as Katerra continues to “advance the cause of building more tall buildings using mass-timber materials.” He … said the acquisition will give MGA access to the tools, materials and techniques that Katerra is developing as a “vertically integrated” design-build firm working in mass timber. “What we’re able to do now is take the stuff we’ve been doing out of our 25-person firm in Gastown and bring it to a much bigger scale in North America,” Green said. The goal, Green said, is to… reduce the cost of delivering high-quality buildings and attractive architecture. Thermal insulation is extremely important in cityscapes today, keeping the heat in, in cold weather and keeping it out when it is hot outside. It is used in buildings, piping, refrigerators, and other applications. Commercial thermal insulation materials include glass wool, polystyrene foam or Styrofoam, cellulose, and mineral wool. These materials are porous, with tiny air-filled compartments. The very low thermal conductivity of air along with it being trapped in small cells makes these materials very good at not allowing heat to pass through. However, most of these materials are not environmentally friendly, are expensive, and usually end up in landfills. Styrofoam, for example, has been considered something of a villain recently for collecting in the Earth without ever degrading. Cellulose, the tough polymer that makes up the cell wall of plants and makes sturdy stems and trunks, has been used as thermal insulation for a long time. 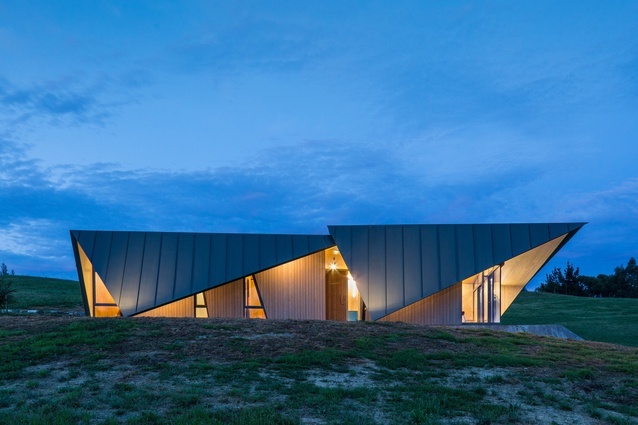 XLam, Australasia’s largest manufacturer of Cross Laminated Timber (CLT), has announced a wave of investments in the production of this technologically advanced product. The company opened a $30 million Australian manufacturing plant earlier this year and has additionally announced an investment of approximately $5 million for upgrades to its Nelson facility. …The news of XLam’s investments comes at a time when New Zealand is being urged to join the ‘timber revolution’. …Have Kiwis been too slow to embrace it? New Zealand has long been a forerunner in the production and engineering of timber products. 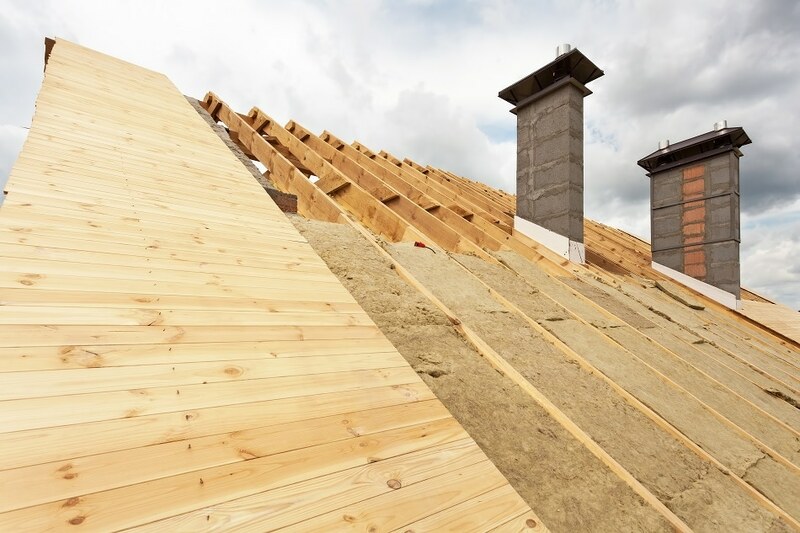 However, the study Architects’ Perceptions of Engineered Wood for use in Non-Residential Construction in New Zealand by Beckman-Cross Trent (2012) reported that up to 81 per cent of architects in Auckland have never designed with engineered timber. HALIFAX – CN and Tree Canada, Canada’s leading national tree-planting charity, are pleased to announce today the names of the 26 communities that are being awarded community tree planting grants of up to $25,000. Representatives from FCM, CN and Tree Canada will make this announcement as part of the 2018 annual meeting of the Federation of Canadian Municipalities (FCM) in Halifax, NS where a legacy tree planting event will take place at the Grand Parade park on June 3rd to honour the City of Halifax and Mayor Mike Savage for hosting the conference. These grants are a part of the CN EcoConnexions – From the Ground Up initiative that invests in community greening projects across Canada. How Canada’s business community and municipalities can work more closely together to support vibrant and strong communities will be front and centre at this year’s Federation of Canadian Municipalities Annual Conference and Trade Show in Halifax, N.S. Derek Nighbor, chief executive officer of the Forest Products Association of Canada says the issue of industry competitiveness and driving economic growth for Canadians is key to securing a strong municipal tax base, a clean environment, and much-needed community infrastructure and social programs across the country. “Different business sectors will each have their own unique perspectives on challenges and opportunities related to how to improve bottom lines and support job growth. The natural resources sector as an example, absolutely must remain globally competitive to ensure communities across this country — especially those in rural and northern Canada — can be economically strong and vibrant,” says Nighbor. Individuals in the forestry industry say that erosion on the Stawamus River south of downtown is threatening Squamish Nation land and costing the industry money. “The forestry industry is feeling the brunt of the issue, but we want to draw attention to the erosion problem that has increased during recent years,” said Squamish and District Forestry Association director Eric Andersen. …While erosion on the banks of the river is not threatening houses on the reserve, it is destabilzing a bank of the land leased to Squamish Mills, said Andersen. He said the bank ideally would first be shored up, followed by dredging and a long-term maintenance system. The solution would require co-operation from multiple government bodies. …Andersen said the Ministry of Forests, Lands, Natural Resource Operations and Rural Development told the association that permits would take up to a year. A land exchange idea in Idaho and Clearwater counties has the potential to protect lands with special historical and ecological value, transfer more forestland to the State of Idaho to help fund Idaho’s public schools, and open up more lands for recreation. The Idaho Department of Lands (IDL) and other parties are reaching out to various stakeholder groups right now to gauge support for the Central Idaho Land Exchange. 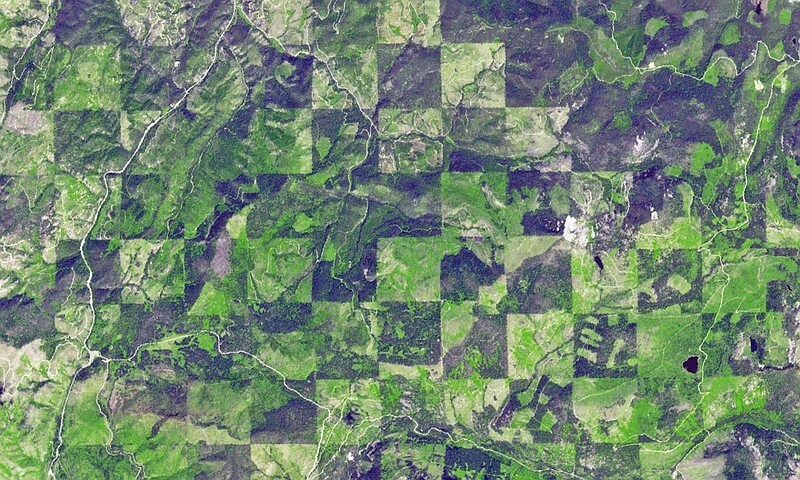 Under the concept, Western Pacific Timber would deed approximately 38,000 acres of its land in the Upper Lochsa Basin to the U.S. Forest Service. Many interests in the area – including sportsmen groups, the conservation community, Nez Perce Tribe, and others – have long sought to bring these private lands into Forest Service ownership because they hold historical value tied to the Lewis and Clark expedition and because of their important fish and wildlife habitat. 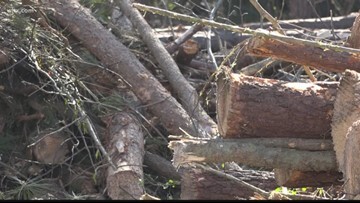 Logging Means Big Business in SC, and Jobs! HANOVER, N.H. – s a warming climate invites the destructive southern pine beetle to expand its northern range, the cooler weather in this new habitat can potentially increase the lethality of the insect’s assault on trees, according to a new study from Dartmouth College. The research demonstrates how climate change can create a destructive, one-two punch for forests that are already under attack, and another mechanism by which weather can influence the abundance of insect pests. In the study, the Dartmouth research team shows how the colder fall and winter temperatures encountered in northern latitudes influences the growth and development of immature southern pine beetles, leading to a more synchronized emergence of adults once the weather warms. A fire that began as a controlled burn in Prince Albert National Park more than three weeks ago is still burning. The blaze has now been downgraded from a wildfire to “being held” status — meaning that Parks Canada and the Prince Albert National Park officials don’t anticipate the fire to grow any further. 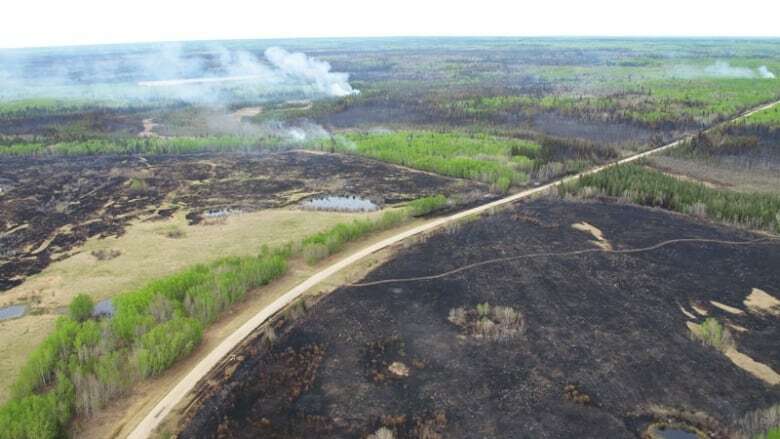 As of Thursday the fire has burned over 36,000 hectares of land in the southeast portion of Prince Albert National Park, according to officials. Parks Canada and Prince Albert National Park confirmed that the blaze was a part of what they call a prescribed burn, a technique used in forest management. …Recent rainfall also helped to hamper the large blaze and change the status from wildfire to “being held,” said Jed Cochrane, incident commander with Parks Canada. With less windy conditions Thursday, the B.C. Wildfire Service says crews battling a wildfire west of Campbell River expect to have a good day after an aggressive response. Donna MacPherson at the Coastal Fire Centre said crews will look to establish control lines around the estimated 0.9-hectare blaze, which is burning near B.C. Hydro’s Strathcona Dam. MacPherson says good progress has been on a mostly grass fire that has reached an estimated eight-hectares on Read Island, northeast of Campbell River. She says crews have access all the way around the blaze with a water source connected to a hose system. That fire is being held but is not yet under control since it hasn’t been mopped up and crews haven’t been able to get at hot spots within the fire area.